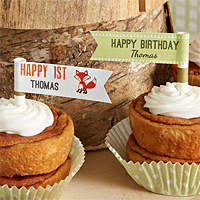 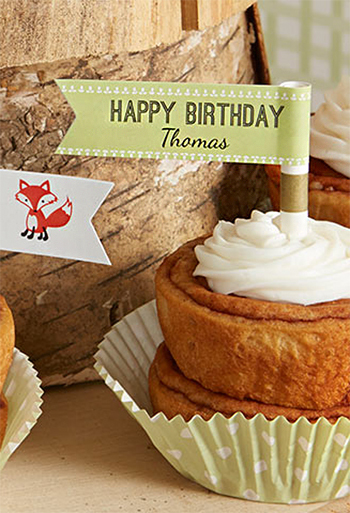 Dress up your woodland birthday party decor with these adorable themed straw flags. 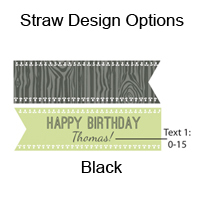 The hardest part is actually choosing the design. 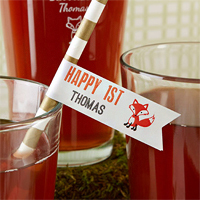 Choose from the vibrant charm of the bright orange fox on a light background, or the lime green and dark gray rustic pattern.